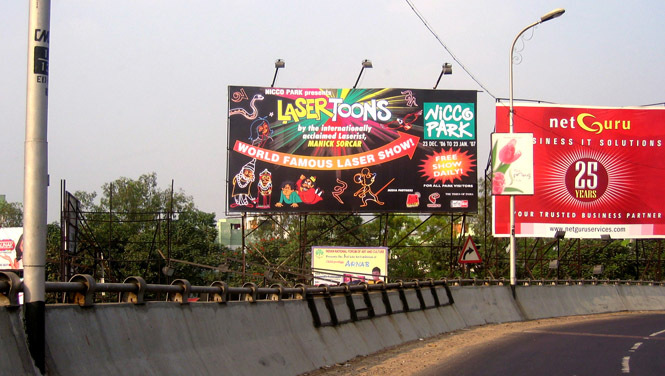 LASERTOONS a super-hit at Nicco Park! 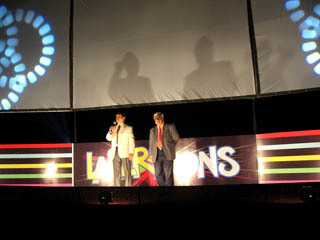 (left) Logo of Manick Sorcar's LaserToons. 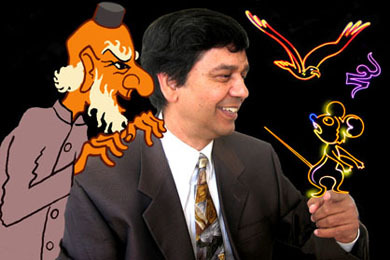 (Right, below) Some of the toon-characters of his show. 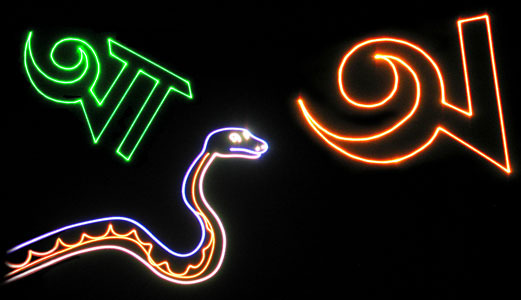 of space exploration and fireworks ... all presented with the cutting-edge technology of laser. 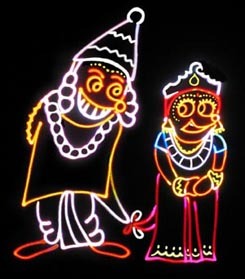 A feast for eyes and minds for children and adults alike! 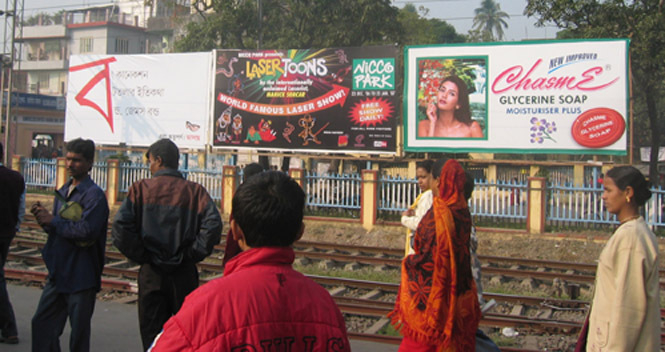 For the first time in history, the people of India got to watch a laser show primarily designed for children and their families, and that, too, in a native language of India. 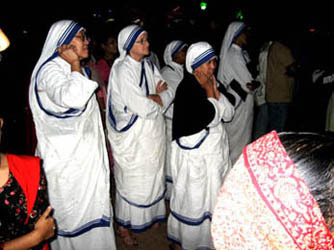 The venue was Nicco Park, popularly known as the Disneyland of India. 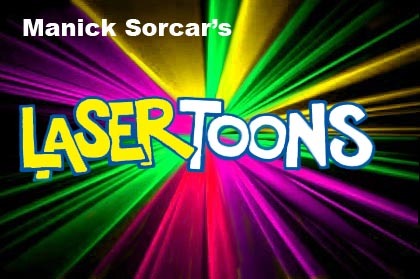 "LaserToons" was a 30-minute extravaganza of colorful graphics, animation, and three-dimensional laser-magic in space - based on four popular children's songs that were written by Manick and sung by his two US-born daughters Piya and Payal, then 8 and 5. It was shown on a massive tri-screen inside a custom-built mega-auditorium. 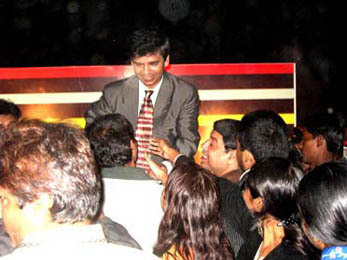 In the month-long program initially there were two shows a day except Sundays and holidays when there were three. 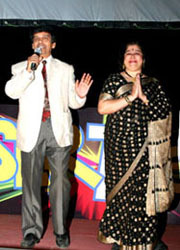 But due to increasing demand, the number of shows soon were changed to three a day, and four on Sundays and holidays - completing a record 78 shows in one month! 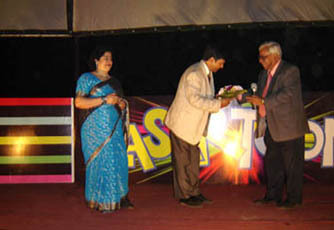 Anandabazar Patrika, the leading newspaper of Bengal, promptly listed it as one of the few shows that rocked the city. 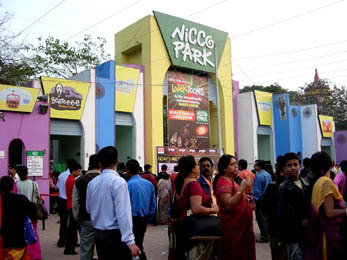 Express India wrote, "When it comes to entertaining children, Nicco Park is a clear winner......... 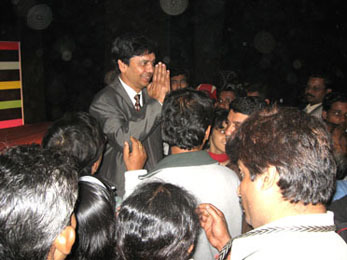 The introduction of a laser show, conceptualised by Manick Sorcar, has worked as a crowd-puller. 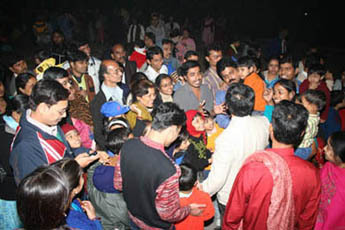 Souma Roychowdhury, spokesperson for Nicco Park, said: 'We had approximately 25,000 visitors today (Dec. 26). 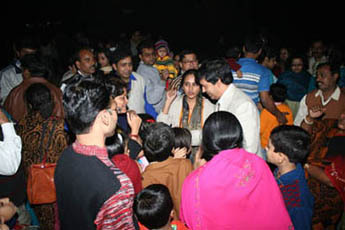 Generally, during this time (year-end holidays) we have around 10,000 to 12,000 visitors' ". 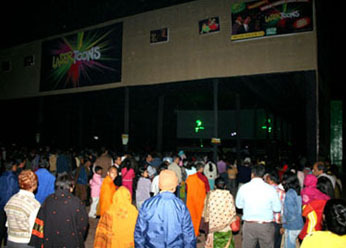 All together, in the month-long stretch, the unique laser show was enjoyed by a gigantic 140,000 people in 78 shows. 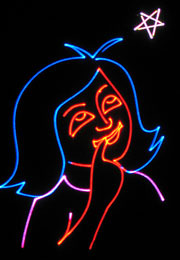 "Magic of lasermania: Manick Sorcar conjures up breathtaking laser shows using desi toon characters", wrote the Asian Age. dreams to be an astronaut. 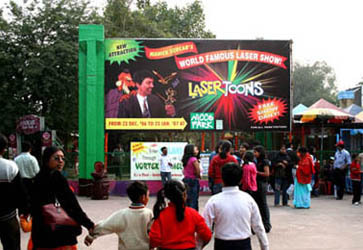 A decorated Nicco Park entry and Mall welcome visitors to their main attraction: "LaserToons"
hours earlier to secure a favorite spot on the floor! were the same: "Spectacular! 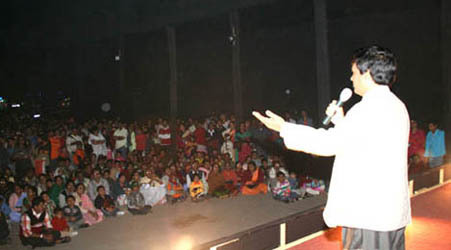 We have never experienced anything like this before!!" just to see your show. We just didn't want to miss it!" said her parents. ferocious tiger for a domestic pet. Manick did it! 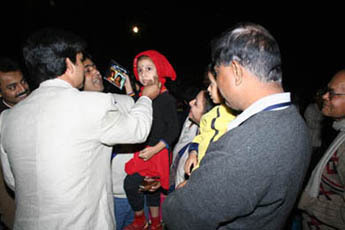 ", wrote Dainik Statesman.